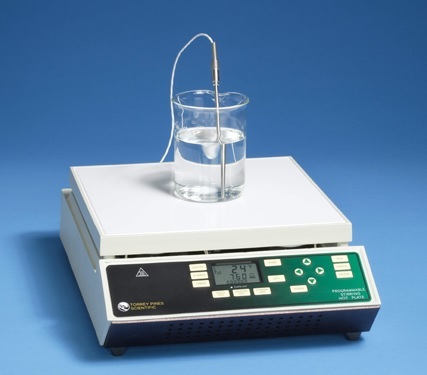 EchoTherm Fully Programmable Digital Hot Plates and Digital Stirring Hot Plates are the most advanced and easy-to-use units available. In manual operation, simply select the parameter to be set and enter the value needed. The unit will do the rest. In the programmable mode, routines can be stored for instant recall and use. The stored routine will run automatically, without attention, and exactly the same time after time. Programs can be simple or complex depending upon the need. 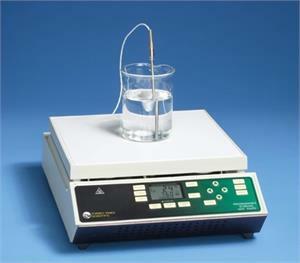 Multiple temperatures, temperature ramp rates, stirring speeds and timed events can be stored. When run, the unit monitors the program to be sure it runs exactly as written. Complete walk-away automation.